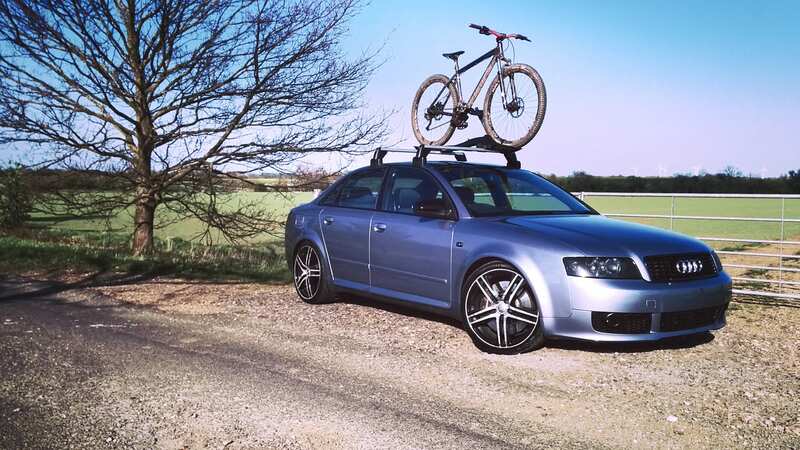 After weighing up the options I decided roof bars and cycle carriers were the way I wanted to go in terms of transporting bikes around on the A4. I think they look cooler than the rear mounted racks and probably less likely to damage the car. I managed to pick up a set of genuine Audi roof bars. They seemed to be the only ones where the bars didn’t protrude out further than the mounting points. You get a little less bar to play with as a result, but it’s a nicer look. The only aesthetic down-side is that most OEM bars suffer from being quite tall, maybe something to do with reducing wind noise? I’d prefer if they were closer to the roof, but I’m sure there’s some German engineer than has his reasons for leaving plenty of space. 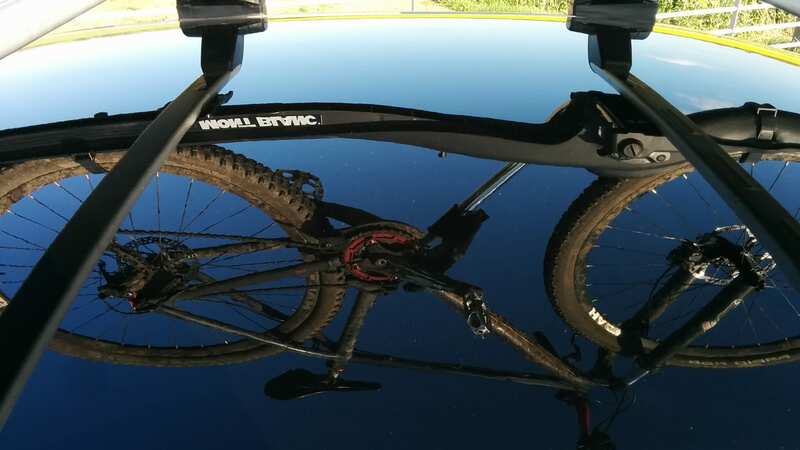 After I’d checked the roof bars off the list, I had a to choose what cycle carriers to go for. 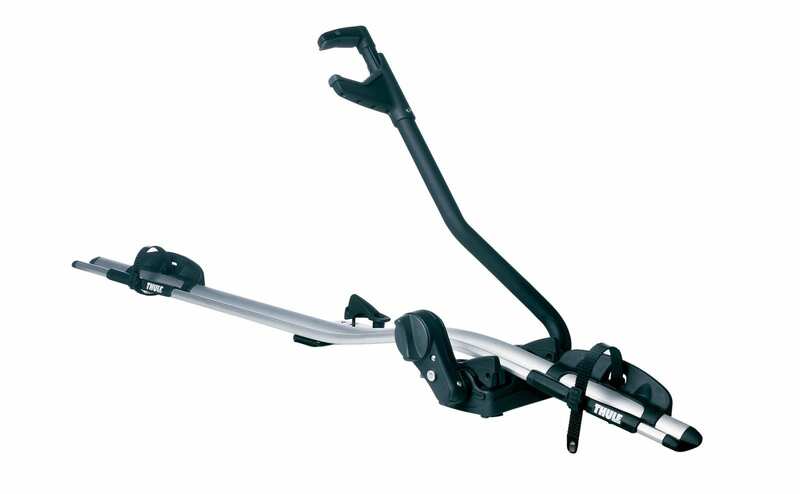 I narrowed this choice down to either Thule or Mont Blanc carriers as both were pretty reputable brands and clearly looked the best of everything else that was available. Not cheap though, both coming in at around £150 a pair. 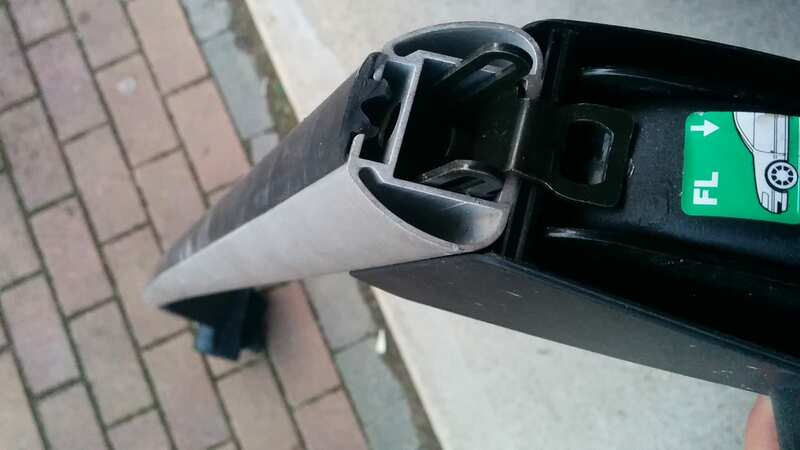 Both seemed more than suitable but as my Audi roof bars were aluminium the Thule option quickly lost the battle in favour of the matte black moulded Mont Blanc carriers. Basically I thought black on the Alu bars would be cooler. ‘Roof Rush’ and ‘Barracuda’ are two names for basically the same product, Roof Rush being the slightly updated version designed to take wider tyres. The Barracudas won’t take anything over a 2.2 in the front unless you let some air out. As always I’ll keep my eye on ebay for a while before I give in a pay full-price for pretty much anything, and fortunately a pair of Barracudas popped up just outside of Cambridge that only cost me £50. Win! Got them home and offered them up to the bars to check how they’d fit, but it wasn’t going to happen. 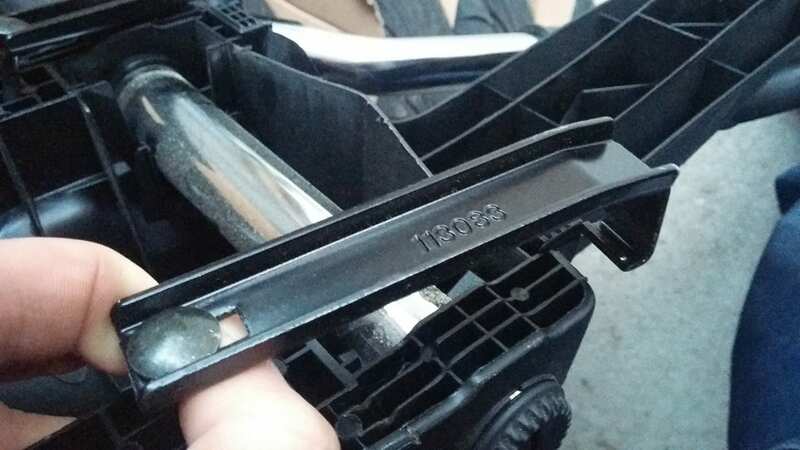 The clamp style fixings on the carriers were too shallow for the OEM bars. I got in touch with Mont Blanc UK and was informed that they’d actually gone into liquidation at the end of 2013. 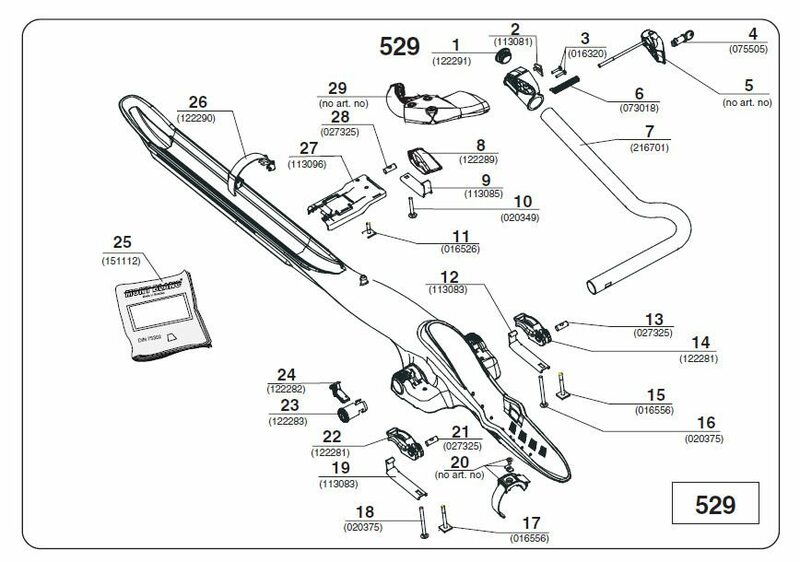 However, the nice lady responding to my emails seemed to know everything there was to know about cycle carriers and roof bars, sent me diagrams showing that I would need ‘t-bolt’ fixings to get the carriers on my bars, and even an exploded diagram to ensure I had all the other ancillary parts too. Bolts labelled 11, 15 and 17 were all I needed, and two pairs delivered to me next day was only £8.50. With the t-track bolts the carriers went onto the bars really easily. You remove the rubber strip from each bar and just slide the bolts into the channels; two at the front, one at the back. 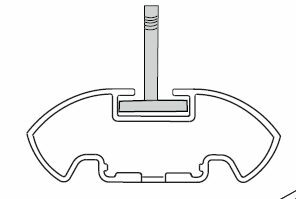 Screw the handles (8, 14, 22 on the diagram) down onto the bolts and lock them down tight. With the bar end caps locked in place there is no way at all the carrier can come away from the bars, they’re really secure. First test drive over to my parents’ for lunch, bike intact and carrier holds onto the 29er pretty tight with very little wobble. 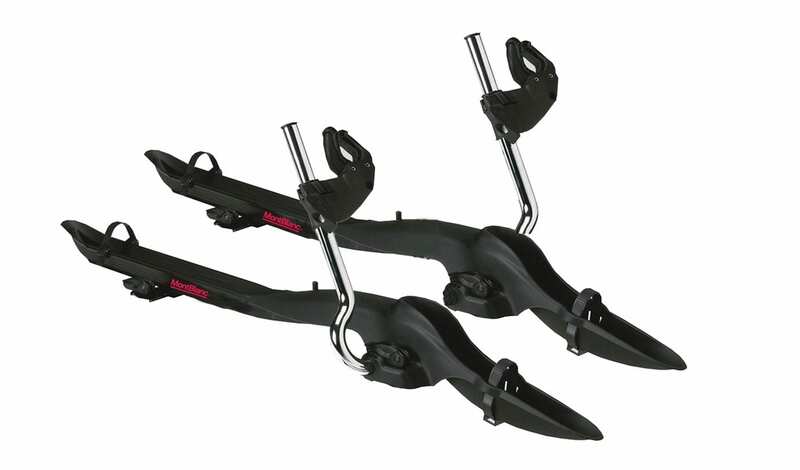 I reckon at a push I might be able to get two bikes and a half-width roof box on these bars, which would be pretty handy for muddy/sweaty bike gear on the way home from some trails.